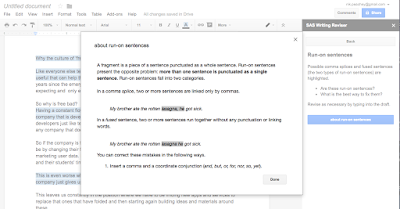 SAS Writing Reviser is a really cleverly designed Chrome Add-on to get your students self-assessing and improving their own writing. 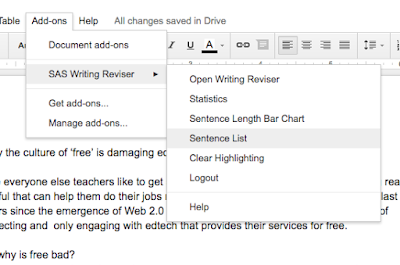 Once installed you can open a document in Google Docs and then decide what aspects of your writing you would like to improve. The add-on opens in the sidebar of the document and you can select from a number of aspects that you would like to work on. Select from the menu and you will see a sub menu that has more specific features to choose from. 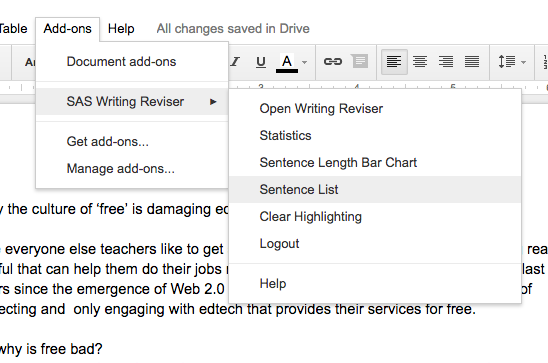 When you click on one of the features, you will see the places in your document where improvements could be made and get a list of them in the side bar. 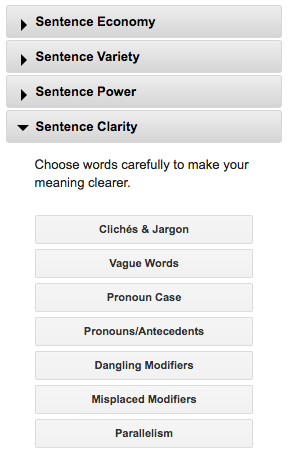 You can then decide which sentences are okay and which you would like to improve. 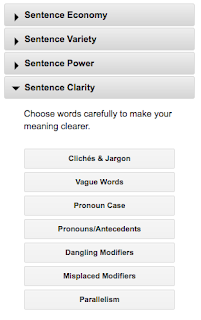 You can also get some advice and explanation of the feature to find out how it impacts on your writing. This is a marvellous tool which I intend to start using myself. It doesn't do the work for the students like a grammar or spell-checker but it does push them to think about their writing at a more stylistic level. 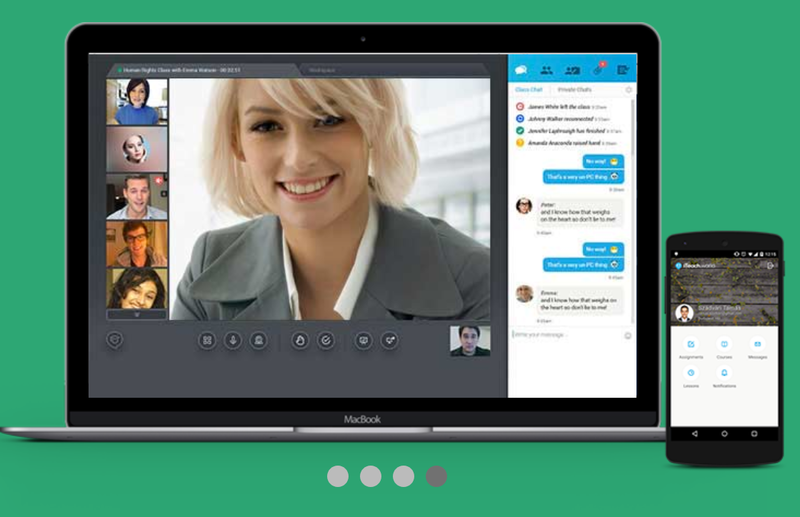 It's probably more suited to higher level learners and particularly good for anyone working on EAP or studying for an IELTS or similar exam. 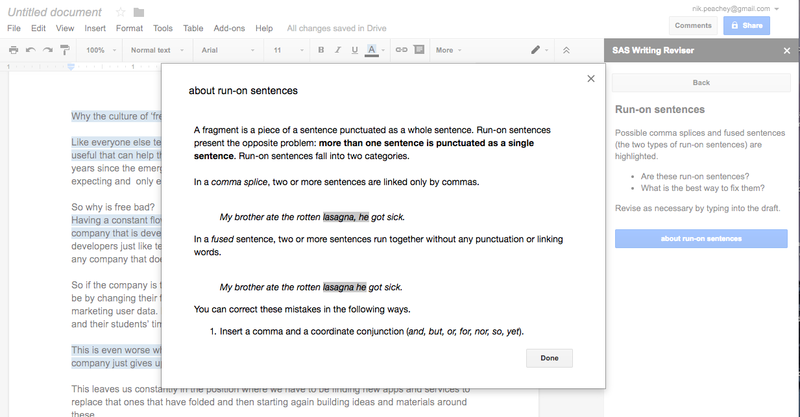 SAS Writing Reviser is a great tool for anyone using Google Docs. I hope it help you and your students to improve your writing. 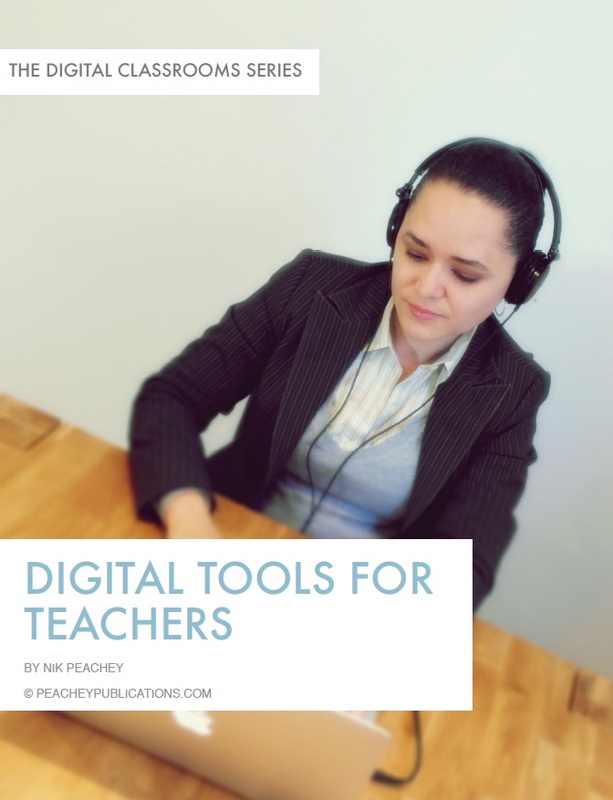 You can find links to many more tools like this and activities for the digital classroom in my ebooks at: http://peacheypublications.com/. All my ebooks are available for iOS and as PDF.